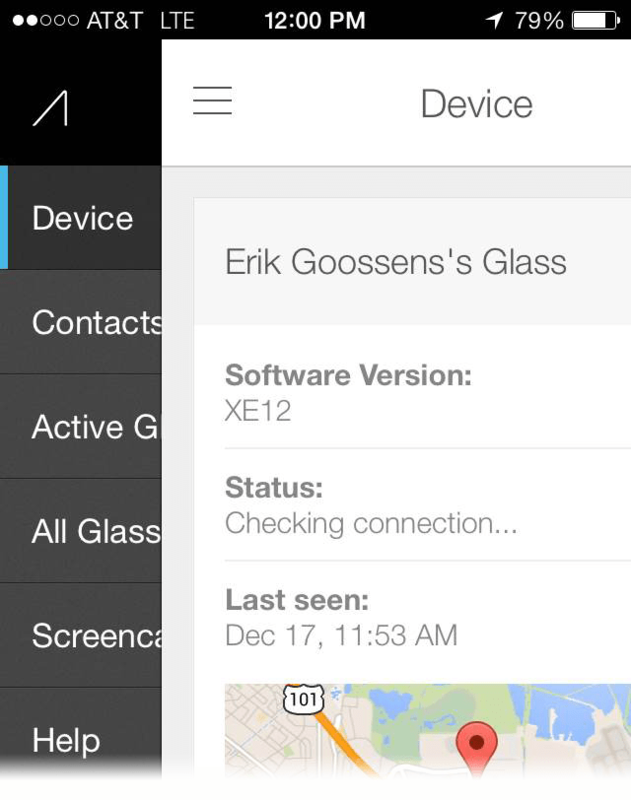 Google Glass XE12 updates hit Glass Explorers this week with a few requested features needed before it makes it public debut in 2014 (I’m guessing it will). Finally Google Glass owner can have a little bit of protection of their personal information by activating the latest screen lock feature in Glass. This is create by activating the feature in settings to setup a particular set of taps and swipes to unlock the screen. Once activated it will automatically lock the screen any time you deactivate the device or whenever On-Head Detection detects you’ve taken Glass off. XE11 brought Google Play Music to Glass by enabling Google Music in the glassware tab of MyGlass. 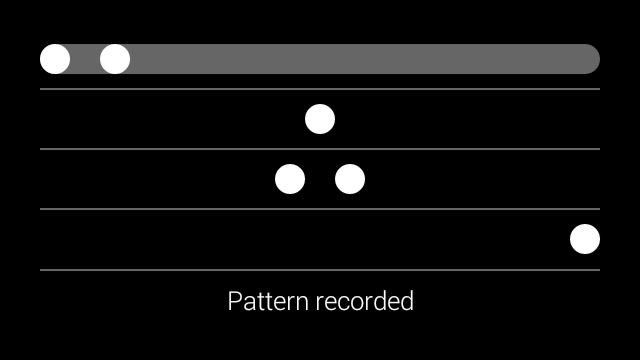 Now XE12 lets you navigate playlists and more through the Listen action menu. It’s easy to swipe to a playlist that you have create or subscribers can choose I’m Feeling Lucky Radio or My Stations to listen to radio. This probably would be a feature used by those with an upgraded Version 2 of Glass with the ear piece. Now you are able to not just share video on Google+ but upload directly to your YouTube Channel with the option to share public, private, or unlisted. Making it much easier to share videos taken on Glass across a variety of networks. It’s easier to start use Hangouts for sending and receiving chats, photos, and video calls to any contact with a Hangout account. You must have Hangouts Glassware on to receive video calls. This is probably the most controversial feature to be added into Glass. 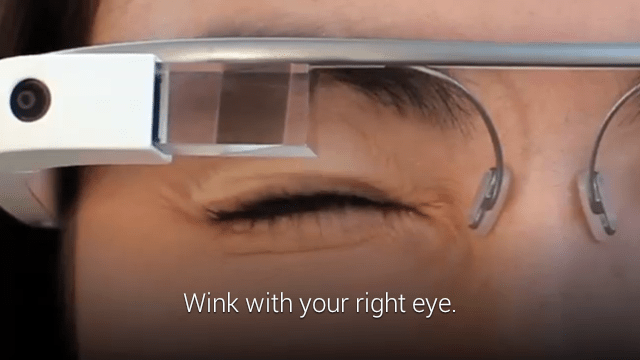 The Wink feature is a exploratory feature that lets you take a picture with a wink. It’s even faster than the camera button or voice action and it even works when the display is off. To use it, you’ll need a device purchased or swapped after October 28th, 2013 (Version 2). If that’s you, give it a shot and tell us what you think in the Explorers Community. I would suggest being careful who you are winking at in public. I can see this feature being very useful for additional functions in the future, especially for those with disabilities limiting their ability to use the touch pad on Glass. Hinted in the release notes of XE12, the iOS MyGlass app is ready to be brought to Apple device through the App Store sometimes this week. This is a much anticipated and needed app for iPhone users who are part of the explorer program. I know it’s been included on everyone of my surveys about my Glass experience from the start. Right now it’s mention in the release notes that it can be used to set up Glass, get turn-by-turn directions, add new contacts, and turn on Glassware. I noticed in the screenshot in the release notes that it showed “Screencas” (I’m guessing Screencast). I’ve wanted this ability for a long time to showcase Google Glass using Reflector App on my PC or Mac. The iOS MyGlass app is built to work with XE12. Make sure to update your Glass before trying to connect with your iPhone. I will definitely post more about this app once it hit the App Store.